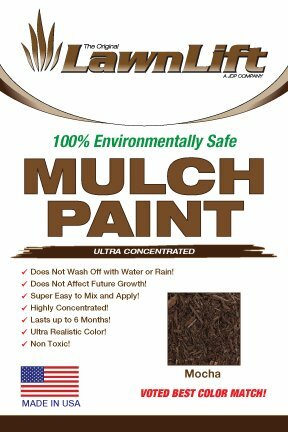 Bark and mulch stain concentrate. Dont dig up and replace your faded bark or mulch, re-paint it! Instant restoration to faded bark and mulch! 100% environmentally safe and non toxic! If you have any questions about this product by Lawnlift Grass and Mulch Paints, contact us by completing and submitting the form below. If you are looking for a specif part number, please include it with your message.